In 1999, William fell into the world of orchids by chance. Recruited by an Asian entrepreneur with the project to open a production of phalaenopsis in Normandy, and to market them in the biggest European market of fresh products : MIN of Rungis (France). William was therefore in charge of holding the small stand of 8m² in the MIN, under the name of the company Flossan, and began to fall under the charm of this flower so mysterious, delicate, and multi-coloured. In 2002, when the French orchid market was totally dominated by the Dutch with industrial orchids of small florets, it decided to conquer a niche market, and decided to specialize in white orchids with big florets. Thanks to William's initiative, Flossan was the first to introduce the white orchid with large florets on the French market. William's white orchids immediately seduced the biggest Parisian florist-decorators, and the French celebrities. Thus, William becomes a reference of the orchid to the professionals of the flower. After leading Flossan for more than 10 years and leading the company to success from a stand of 8m² to 3000m² and an annual turnover of € 300,000 to more than € 1 million, Flossan Is relocating, and is preparing to be listed on the stock market with the arrival of many investors wishing to massify production. In 2012, William, nicknamed "the prince of the orchid" by his peers, decides to continue the adventure alone, in order to continue to offer his customers exceptional orchids, unique in the market. Thus, with his wife and son, he decided to create Orchidées de Prestige, with a production site of 7,000 m² in the heart of Bourgogne. He surrounded himself with the best orchid specialists, and decided not to mechanize his greenhouses, and to favour a culture entirely craft to give particular care to each of his plants. William keeps this wish to offer consumers elegant, original, unique orchids to restore a prestigious image of the orchid, which has been unfortunately trivialized by the mass production of Dutch producers. 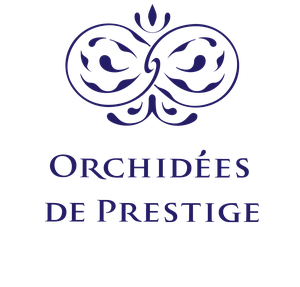 Today, Orchidées de Prestige continues its development by acquiring its own laboratory for the development of its varieties, and is recognized as a reference in the orchid environment, providing the largest events of luxury French brands. Its orchids are also exported to London, Geneva, Singapore and Monaco. Today, conscious of the saturation of the orchid market in Europe, we seek to create unique orchids for our customers so that they can stand out in this competitive market. Exceptional orchids, which will be able to mark the minds of the customers, and revive all the beauty of the orchid ! Today, we supply the biggest French florist-decorators who use our orchids for the biggest luxury hotels of Paris, the star-rated restaurants as well as the French luxury brands. We also collaborate with event agencies, and decoration companies. Abroad, we are represented in London, and we export to boutiques of flowers in Luxembourg, Switzerland, and Germany. 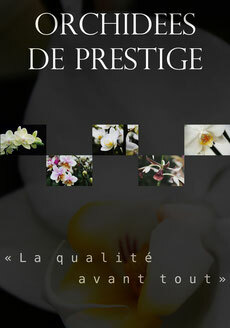 Orchidées de Prestige chooses each of his clients to become privileged partners. Our collaboration policy offers our customers exclusive products. Aware of the banalization of the orchid produced in mass, our distributors benefit from a real distinction with their customers, bringing a vision totally different from the orchid and a range of products unique on the European market.